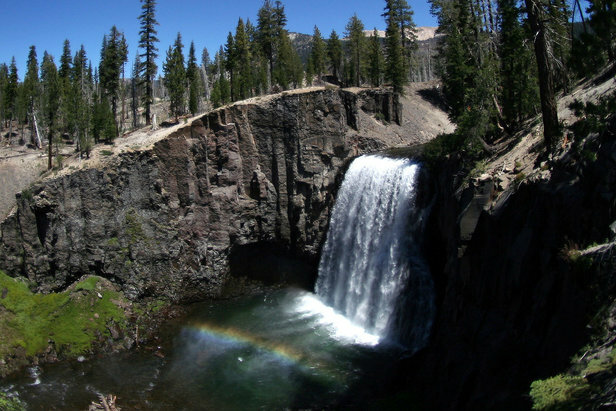 Located just 10 miles from Mammoth Mountain Ski Area, the Rainbow Falls Trailhead offers access to Devil’s Postpile National Monument and Rainbow Falls. 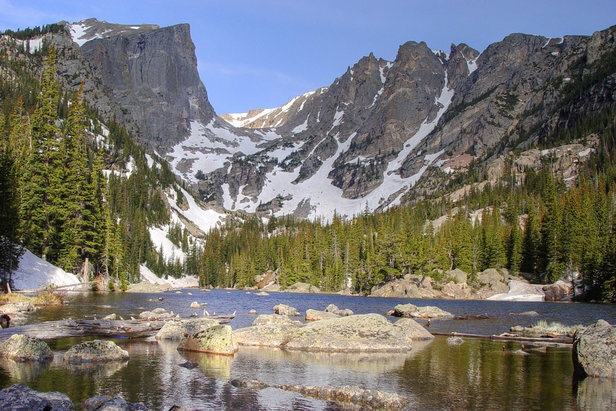 Summertime produces snowmelt, and snowmelt produces whitewater. From California to Vermont, the high country is busy shedding its winter coat in a rush to fill the thousands of reservoirs and lakes that wait below. One way to witness this powerful display is by adding a waterfall hike to your summer to-do list. From easy out-and-backs to strenuous full-day excursions, these hikes offer a cool relief from the summer heat. Forget the rivers and lakes you're used to, go chase some waterfalls! Cruise north down Highway 89 from South Lake Tahoe and park at the Bayview Campground. Locate the trailhead at the end of the parking area and begin this easy to moderate hike. Large rock outcroppings and spectacular views of Cascade Lake, Lake Tahoe and the 200-foot high falls make this a must-do hike in the Tahoe area. Located just 10 miles from Mammoth Mountain Ski Area, the Rainbow Falls Trailhead offers access to Devil’s Postpile National Monument and Rainbow Falls. The impressive 102-foot high waterfall was formed after a volcanic explosion some 75,000 years ago. Expect to hop aboard the mandatory shuttle that departs from the Adventure Center at the base of Mammoth Mountain and The Village at Mammoth. At 365 feet, Bridal Veil Falls is the tallest free falling waterfall in Colorado. A historic, privately owned power plant rests at the top of the falls. Head east through town and follow County Road up towards the falls. Get an early start to avoid mountain bike and 4-wheel-drive traffic. 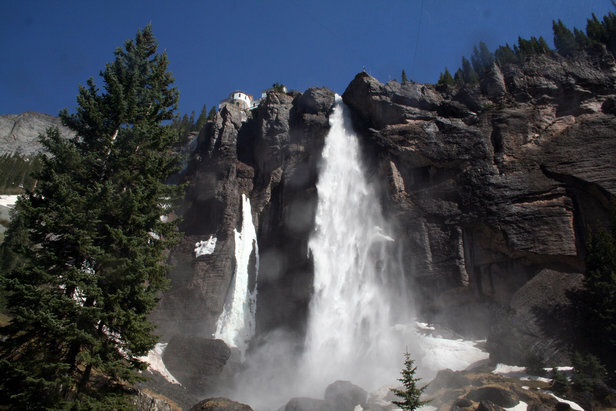 At 365 feet, Bridal Veil Falls is the tallest free falling waterfall in Colorado. For those willing to scramble over some rocky terrain, Waterfall Canyon offers an awe-inspiring 200-foot waterfall as a reward. The adventure begins at Mt. Ogden Trailhead on the east side of Ogden, before climbing up the Bonneville Shoreline Trail to the mouth of the canyon. Be sure to stay in your lane as private property lines both sides of the trail. Bingham Falls is located off the east side of Upper Mountain Road near Stowe Mountain Resort. A series of falls tumble through a narrow gorge before eventually spilling 30 feet into a picturesque, teal-colored pool. Multiple swimming holes above and below the falls are perfect for cooling off on a hot summer day.